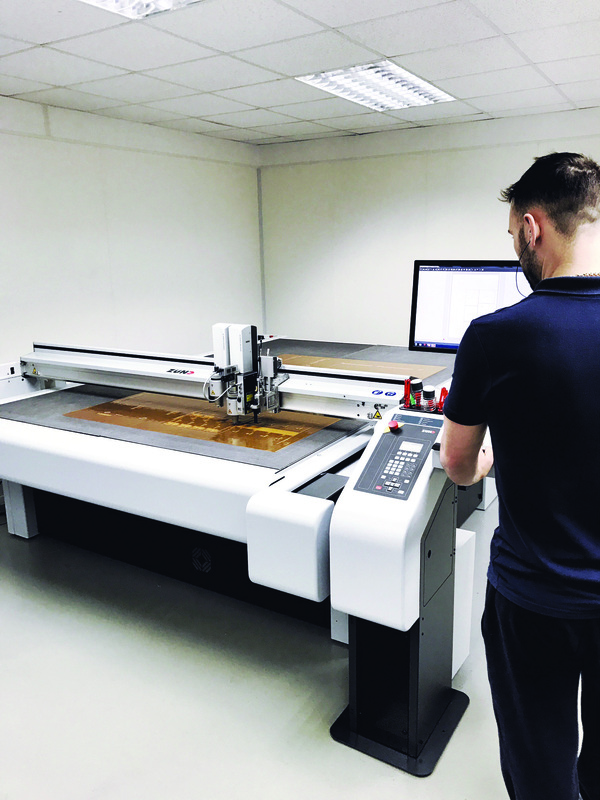 UK-based packaging firm Reproflex 3 has installed Zünd Plotting Systems' digital cutting solution for the finishing of polymer printing plates. The Zünd G3 digital cutting table will eliminate the hand-cutting or outsourcing die-cutting work on a flat-bed machine. Reproflex 3 managing director Andrew Hewitson said: "We tested the competition and found that the Zünd's workflow technology was by far the easier to use. "It has an open platform meaning our existing systems are able to drive it – the workflow is seamless. "We have more options for our packaging, with specific sizes now possible to make superior end products. It all just makes sense." Reproflex 3, which manages the transition of new packaging designs to finished, printed products in flexible packaging, supplies over 20,000m2 of polymer annually form its production sites. The Zünd G3 automated cutting table, whcih features a modular tool and material-handling systems, will also be used by Reproflex 3 to create mock-ups of finished designs in cut carton, board and corrugated materials. Packaging pre-press provider, Reproflex 3 has three two facilities in the UK and one in Dubai. It supplies repro, plate manufacture and mock-up creation services to packaging printing organizations. Image: A Zünd G3 digital cutting solution. Photo: courtesy of Zund Plotting Systems (UK) Ltd.